Free Music Download Pro PLUS iPhone App Review: Listen Up! Free Music Download Pro PLUSis an iPhone app developed by ASPS Apps. 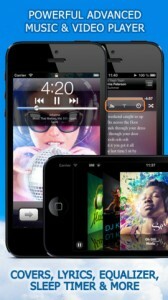 With Free Music Download Pro PLUS, users can download free and legal music directly to their iPhone, iPod and iPad. Additionally, users get access to videos and live concerts. Once you download Free Music Download Pro, you’ll be asked to sync the app with the songs already on your device. Even if you don’t have much music, updating the media library in Free Music Downloader Pro takes an surprisingly long time. It wasn’t untenable…but it was longer than I was expecting. When your music is playing, the screen will display album art, song and artist info, and social sharing for Twitter and Facebook to tell people what you’re listening to. There is also a sleep timer, a button that displays the song’s lyrics, and an equalizer button that will let you customize the sound of your favorite tracks with around 20 different EQ settings. You download music with this app by using the in-app browser to score tracks from sites like Last.fm, Librivox, Live Music Archive, and more. It’s easy to do. Available for a limited time at 99 cents,Free Music Download Pro PLUS is the next step up. This paid version scores you unlimited downloads, transferring to your PC/MAC/iPod, and 24/7 customer support. Free Music Download Pro PLUS has a great troubleshooting guide built right in, along with tons of advice and user guides for users. They make it easy to understand how to transfer files from the free version to the Pro Plus version, or keep the app from shutting down when you try to view lyrics. Check it out! 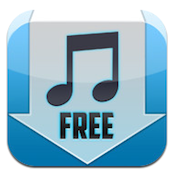 Free Music Download Pro PLUS and Free Music Download Pro are compatible with iPhone, iPod touch, and iPad. Requires iOS 4.3 or later. This app is optimized for iPhone 5.